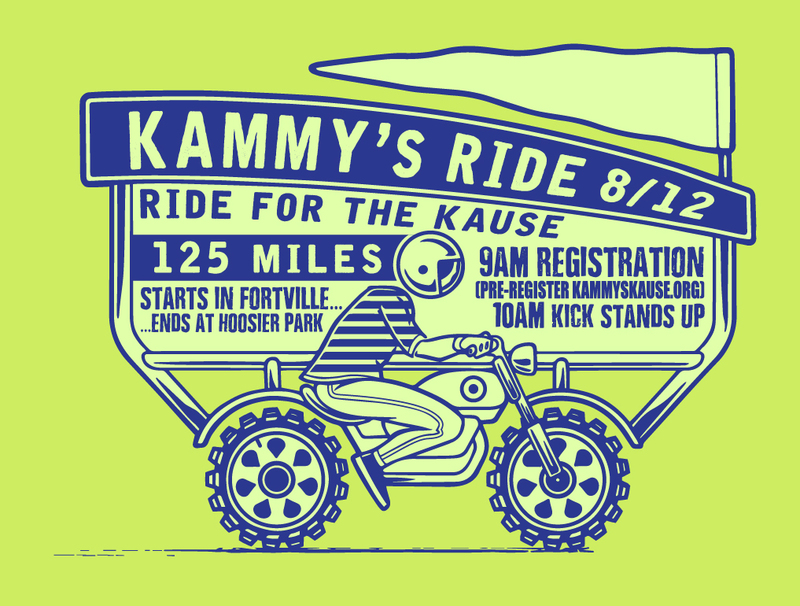 August 12th, 2018 marks the 10th annual Kammy’s Ride, a truly unique event that has become an integral part in the fundraising efforts of Kammy’s Kause. Registration begins at 9AM in Fortville where you will have the opportunity to meet Kammy, pick-up your free T-Shirt, gift bag, and enjoy a complimentary breakfast. Kickstands up at 10AM. The 125-mile escorted motorcycle ride includes a stop for resting where water & ice cream will be provided, a stop where you will enjoy lunch on us, and will end with live music as well as a meet & greet with all of our beloved 4p- families & friends at the 15th annual Kammy’s Kause. We are proud to announce Indiana Business Solutions as the official presenting sponsor of Kammy’s Ride!